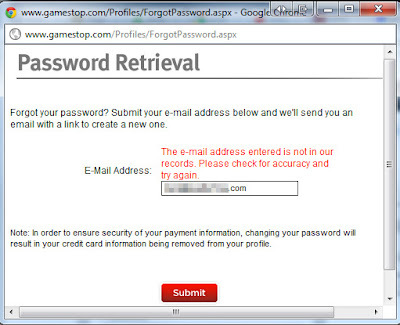 It seems the nice folks at Gamestop.com are giving those seeking unauthorized access half the information needed to access an account. 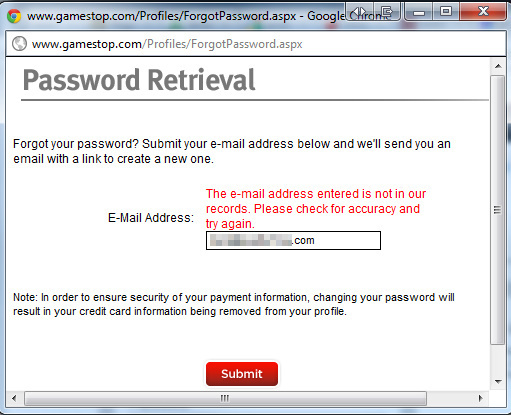 Yeah they really are *nice*, I ordered a game to download because it was on sale and saved me a trip to the store. It never showed up with my Impulse games even though I received a thank you from them for purchasing the game. I was a loyal customer but NOT anymore. I asked for a refund but didn't get that either. So nice to know I'm a valued customer with those *nice* people.